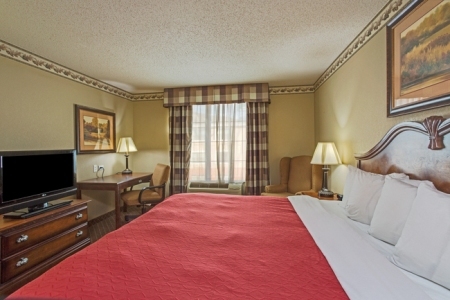 Situated at the intersection of I-65 and U.S. Route 30, the Country Inn & Suites® by Radisson, Merrillville, IN places you in Greater Chicago’s Lake County. Our hotel is just 16 miles from the beaches of Lake Michigan and less than two miles from elegant performances at Indiana Ballet Theatre. With Indiana University Northwest and Indiana Wesleyan University less than 15 minutes away, we also make a great stop for college tours. Coming with a group for a campus tour? Reserve a One-bedroom Suite for additional space, complete with a separate living area and a sleeper sofa. Start the day with a hearty meal at our free, hot breakfast, which includes Belgian waffles, flaky pastries and fresh fruit. 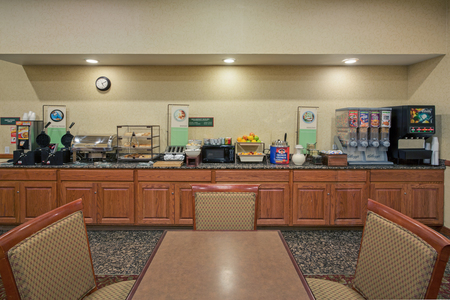 Complimentary, hot coffee and cookies are served all day. For lunch and dinner, take the kids to a nearby restaurant like House of Kobe for traditional teppanyaki cuisine or head to Abuelo’s for a combination of Mexican, Spanish and Tex-Mex dishes. Deep River Waterpark – Just a 12-minute drive from our hotel, Deep River is the largest water park in the Chicago metro area. Get soaked under the giant tipping bucket and challenge your family at the Double Dueling CannonBowl before treating everyone to a double scoop at Milo’s Ice Cream Parlor. Albanese Candy Factory Outlet – A local favorite and a sweet spot for travelers, Albanese is a confectionary outlet that produces gummy treats, chocolates, hard candies and more. Sign up for a tour, and be sure to buy a bag of chocolate-covered Michigan cherries before you leave. Taltree Arboretum & Gardens – Make the 20-minute drive to Taltree Arboretum & Gardens to see the Railway Garden, an acre of working model trains and historical vignettes. Taltree also boasts scaled replicas of various biomes like prairies, wetlands and woodlands. 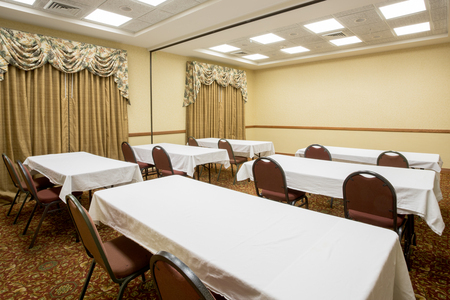 Host a meeting or celebration just outside Chicago at the Country Inn & Suites, Merrillville, which offers a versatile event space accommodating up to 25 people. 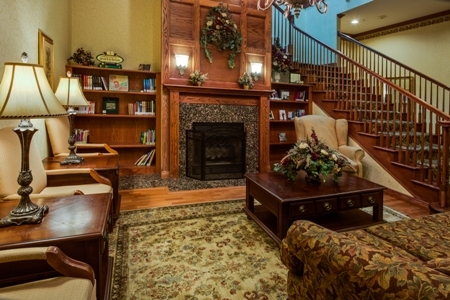 Take advantage of free high-speed Internet access and attentive staff assistance. We are more than happy to create a personalized Web page for your event so that your attendees have the latest details.